Please note that this is a sample. We will carve your personal pen and pencil holder by hand with initials by your choice. 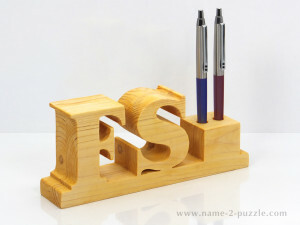 This beautifulpen and pencil holder is handmade from white pine wood. 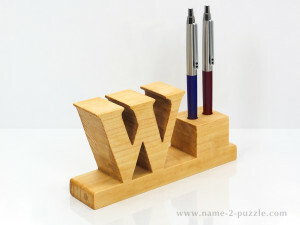 Then it is sanded andpolished. 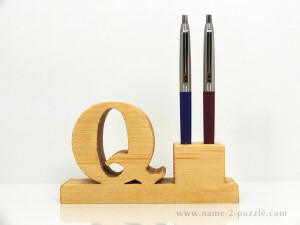 The twoinitials here are perfect for couples, newlyweds, sisters and brothers,friends. 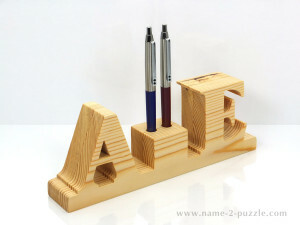 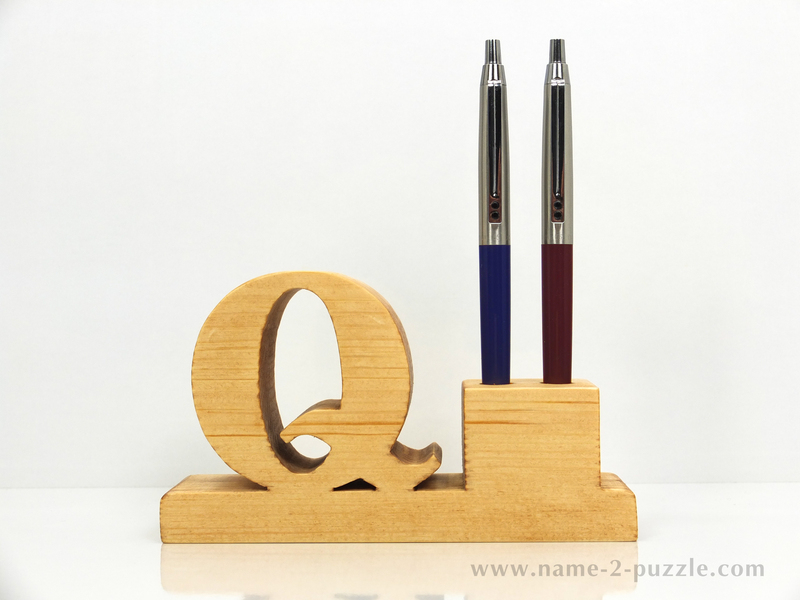 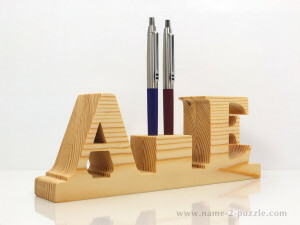 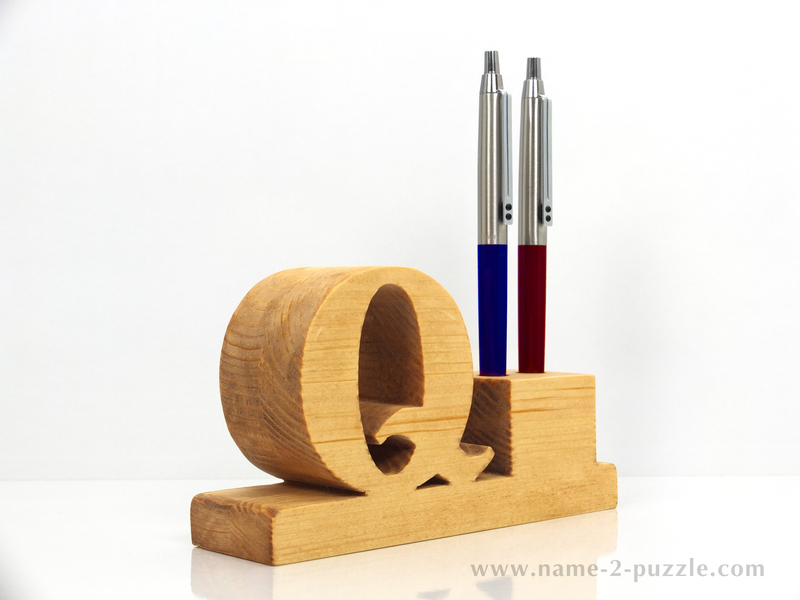 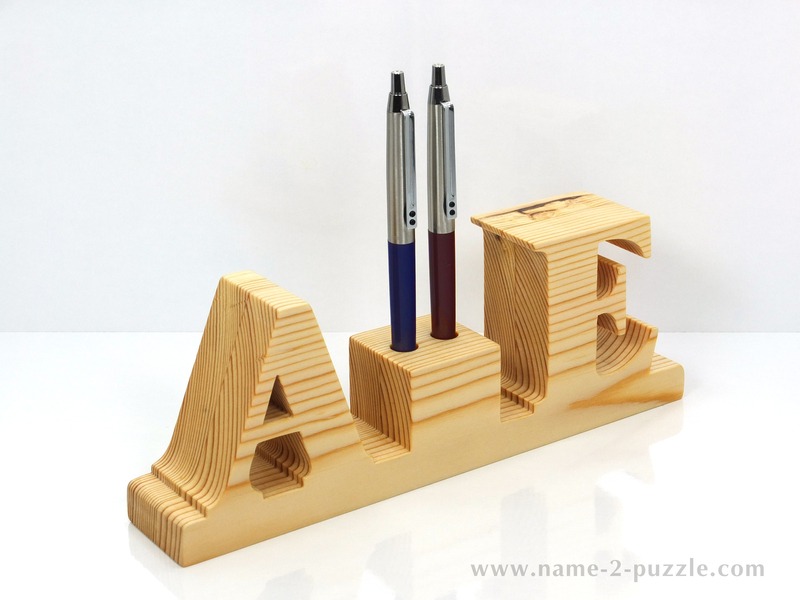 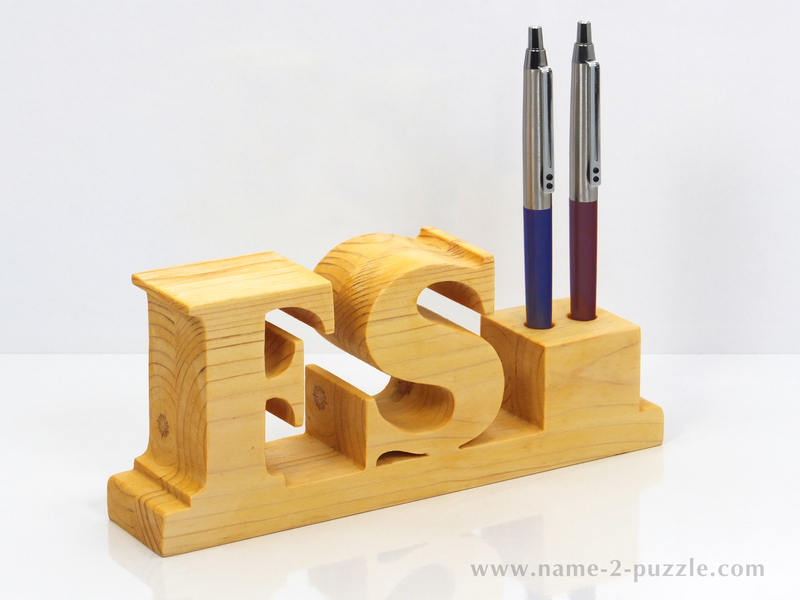 You can havethis wooden pen and pencil holder or you can order a handmade pen and pencilholder with one initial or with the initials of the first and second name ofthe person you wish to surprise. 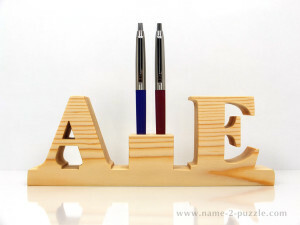 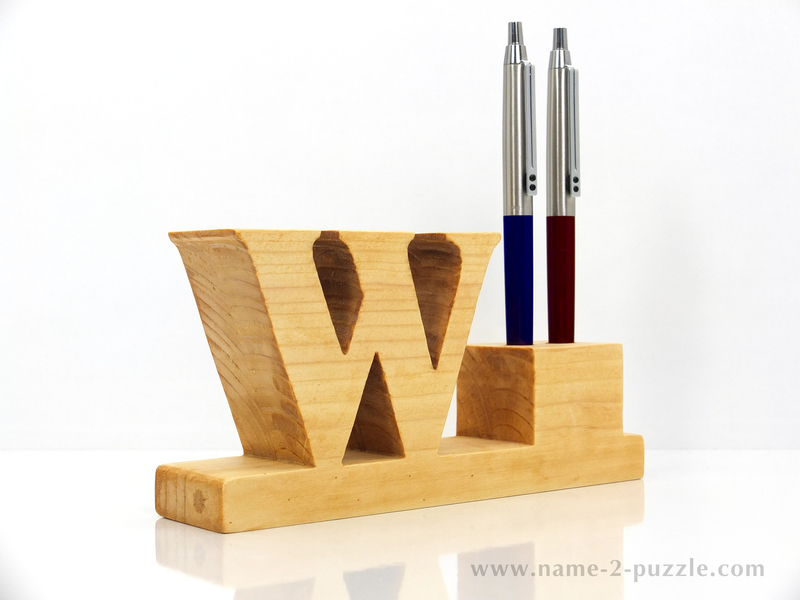 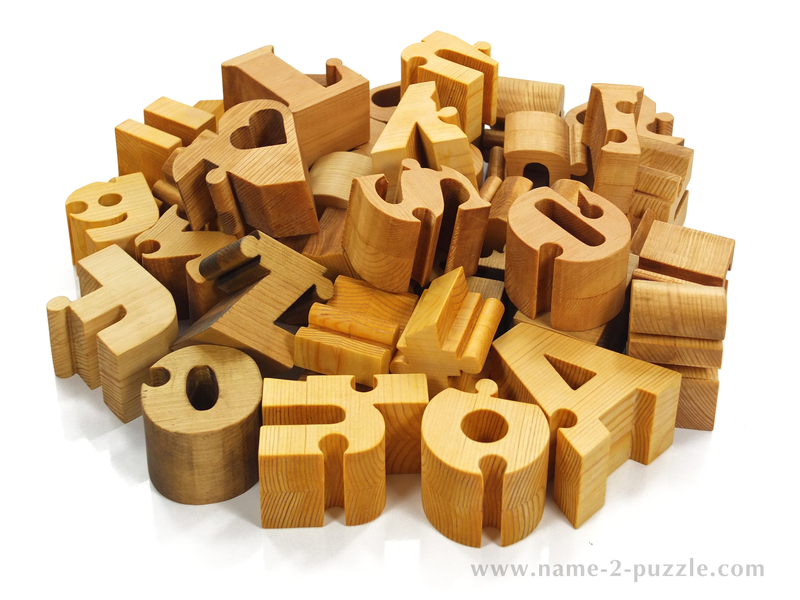 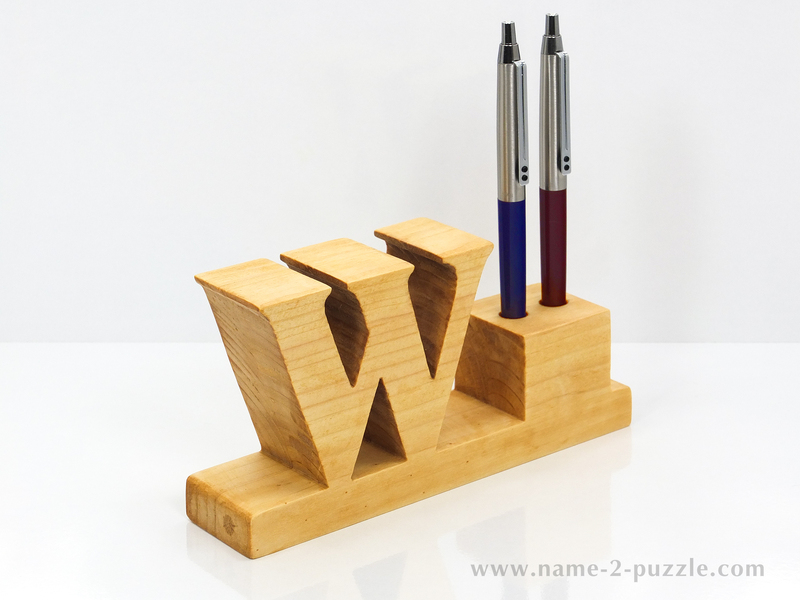 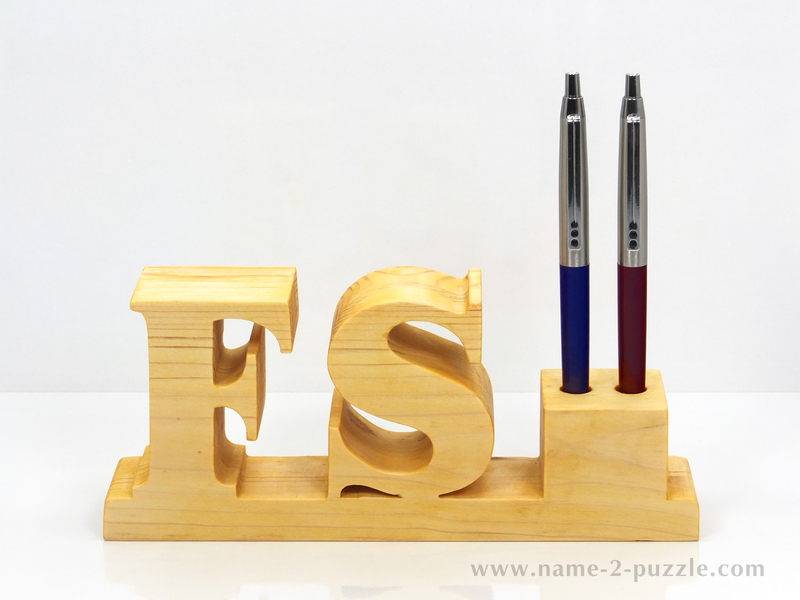 Click here to view other name puzzles, pen and pencil holdersand other wooden gifts.